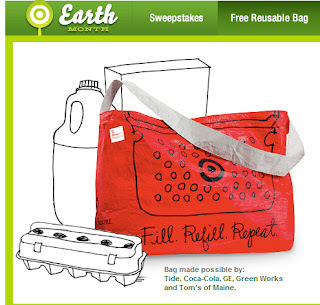 Earth Day exclusive: On April 17, 2011, we'll be giving away free reusable bags in stores (with purchase) to our first one million guests. Limit one per guest. Last year, most stores ran out within a few hours. So get yours while supplies last.